THE TRANSIENT nature of modern football has ensured that Hibernian’s 2-1 victory over Hearts at Tynecastle in May 2013 seems a lifetime ago. Match-winner Ross Caldwell now plays for Blantye Victoria, while the likes of Alex Harris, Jordon Forster and Alan Maybury were among the blasts from the past deployed by Pat Fenlon. Part of the starting XI that afternoon, however, were the dependable figures of Paul Hanlon and Lewis Stevenson. 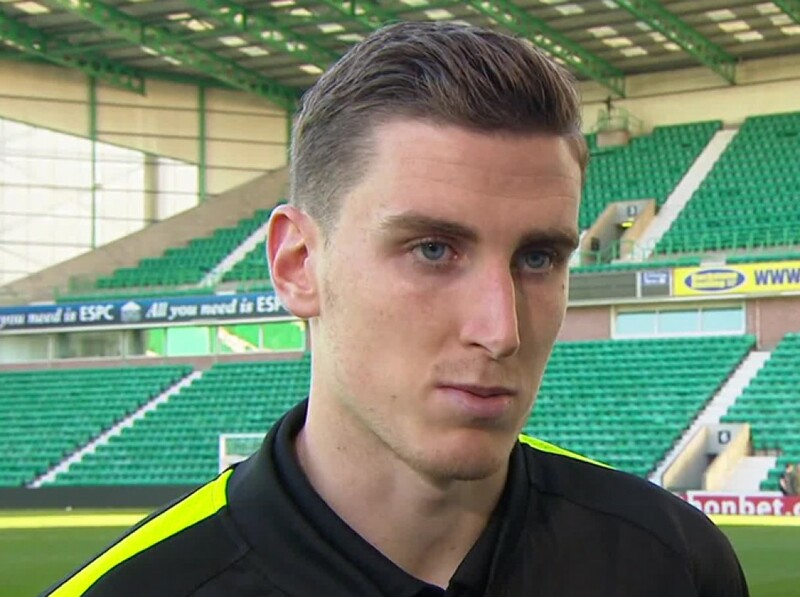 And Hanlon admits he is delighted to have finally supplanted that triumph as the last time Hibs prevailed in Gorgie, courtesy of Saturday’s Daryl Horgan-inspired victory. “I remember the 2013 game and it has been a while,” smiled Hanlon. “The fans turn up here every time in full voice so it is nice to send them home happy. It is no more than what they deserve. “I’ve had some great derby experiences but this is right up there. I’ve not had that many good victories at Tynecastle so you need to make the most of them. To make the result even sweeter, the win saw Hibs usurp the Jambos in the Premiership standings, moving two points clear of their fiercest foes in fifth spot heading into the post-split fixtures. Indeed, with just six points between Hibs – the league’s form team with 20 points from a possible 24 – and Kilmarnock in third, an unlikely European charge could be on. “We have put ourselves in this position and now we have to make the most of it,” continued Hanlon. “If you go back to just before the manager came in everybody had written us off as far as making the top six. “It was always going to be a big ask so to show the form we have done is great. We now have to try and keep it going and see where we finish.